Let’s look at the definition of Email Marketing. It is a digital marketing strategy that is used to market your business in an untraditional way. Traditional ways are tv commercials, magazines, radio, billboards, etc. Email marketing allows you to communicate with your audience using your email via an email service provider such as Constant Contact and Active Campaign. 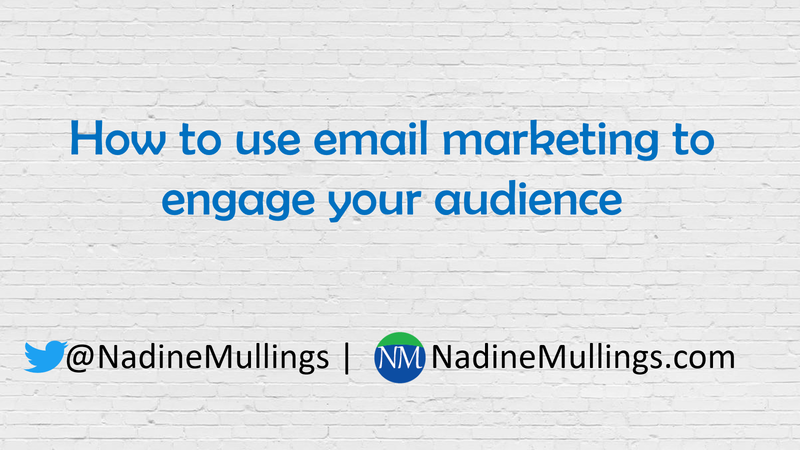 Email marketing requires you to have an email list. Having an email list is important because you do not own your social media followers; therefore, if the social media platform goes down or makes changes you are still able to communicate with your audience. Consistency – this is key to effective email marketing. Figure out how often you want to communicate with your database and stick to it because your audience begins to expect to hear from you. Content – what content are you sharing? Are only giving value or are you sharing value? Having content that is valuable in your emails is important to your audience and it will lead to better results from your call to action. The B.E.S.T. Marketing Planner is a tool that will help you schedule your valuable content consistently.